Size : 14.0 x 19.3 inches. / 35.5 x 49.0 cm. 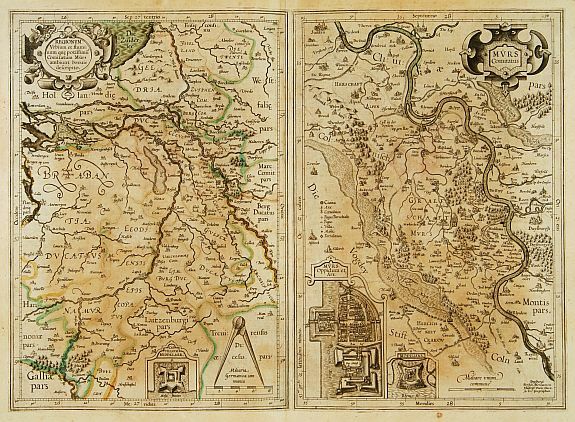 Description :Two maps on one sheet: left hand map showing part of the Netherlands with rivers Rhine and Maas. The right hand map the river Rhine from Zanten till Münchengladbach, with inset plan of Mürs. Condition : A good and strong impression. Paper slightly browned, as usual. Altogether in very good condition.